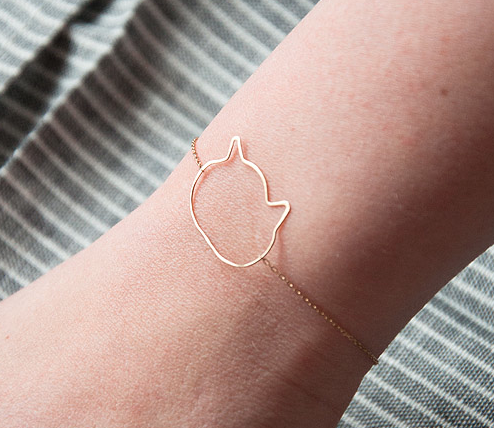 The adorable Amy from Design Sponge saw Bittersweets NY's Cat, and Kitten rings at Catbird and emailed us to see if we would make a bracelet. Of course we would! 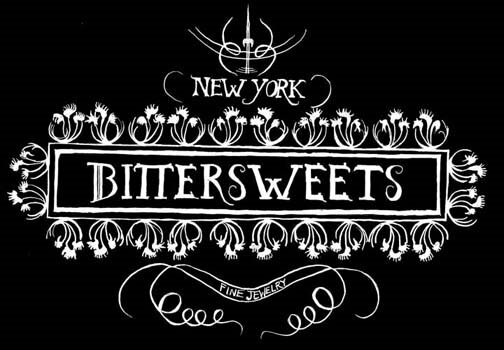 They wrote up a darling article about Bittersweets NY! Thank you Design Sponge! We love your site! Sneaky link to our site where you can get a Kitty Bracelet is here. I got the following email from Jesse, and I was tickled pink to tell my boss what an excellent job I've been doing! Thanks Jesse, it's been a pleasure making your ring and this may be one of the nicest emails we've ever gotten! Hey Robin just a question, do you have a supervisor, or someone in charge of you, that I could email? You just provided some really awesome service, and I really appreciated it! If you have a superior, I would really like to send them an email, talking about how great you are at your job, and how lucky they are to have you as an employee. You really made this experience something great, and I want to show my appreciation. All the best! We received a surprise email with a painting of Bunny attached to it yesterday! Kira came to our shop when we were open on Broadway, in Brooklyn and took a picture of Buns. She later turned it into this amazing portrait! Her site is awesome, click here, kirabirney.com to take a look!